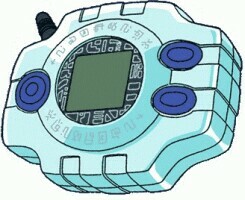 Digivices are small devices that allow a Digidestined to help their Digimon partner digivolve. Digivices also have other powers such as destroying Black Gears, transporting Digidestined between the real world and the Digital World and finding / tracking other Digidestined. Each Digidestined has a Digivice.